Q: What features are included? Does it have this and that? A: All features listed on the product description pages are included and should be working (for further information, please read the Terms and Conditions). Keep in mind new features can be added whileexisting ones removed anytime. Q: Can I use this on third-party servers (FaceIt, ESEA, CEVO etc.)? A: You can use it as long as you are using the official Steam Version of the game (non-beta). Q: How much does redworx cheat cost? Do I have to pay every month? A: Redworx currently costs the price given on the purchase for a year, that’s all. Once you pay you can use it for an entire year. Q: How long do I have to wait for my redworx after I pay? A: It usually takes less than twelve hours to receive all requiered information, such as installation guides and serial license activation code including the cheat via download link itself. You will receive redworx cheat to your email address in the order completion notification email. Q: How do I keep redworx updated after I purchased it? 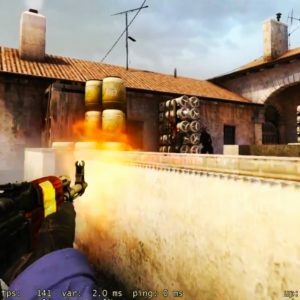 A: Redworx CSGO cheat updates automatically. If there is an update available, you will not be able to use the outdated version anymore. The software will automatically attempt running the updater and download the latest file and finally execute it all automatically. Therefore there is no need to worry. Depricated: Update notes are posted in our redworx.net/changelog. Q: Can I pay with paysafecard, credit, items, etc. ? A: We currently accept Paypal, Skins (CS:GO Items), Bitcoin or Skrill but a Paypal account isn’t requiered, you can also pay directly with credit, debit card or bank account. Q: I have lost email with my redworx download. How do I get it back? A: Feel free to contact the support via email address info@redworx.net regarding your concerns. Q: Can I use redworx on my main game account? A: You can use redworx on any game account. The software is not bound to any Steam account. Q: Can I share my account with friends? A: You are not allowed to share your redworx account with other people. Detected or suspected license sharing activity may result in suspension and cancellation of your license. Q: Is redworx VAC undetectable? Q: Can I get a refund for my purchase? A: Read the all related information here redworx.net/terms-and-conditions. Q: I did not receive any email after waiting for 24 hours? A: Please make sure to check the spam folder aswell. If you still have not found it anywhere contact us via the support page. Do not forget about giving us the PayPal payment information (a screenshot is fine) so we can verify your payment.